Americans spent almost $17 billion in spas in 2016. A large chunk of that money was spent on facials: treatments that are thought to combat wrinkles, remove blemishes, moisturize, tighten, regenerate and improve the appearance of the skin, so your face looks great. Facials are a vital part of healthy skin and involve the exfoliation and cleansing of the skin, as well as the removal of whiteheads or blackheads that clog skin pores. There are many different types of facials available out there, which suit different types of skin. We all love to pamper our skin and facials can be one of the best ways to take care of your skin. Here are five of the best facials for your skin. Fruit facials are all-natural, cost-effective and don’t cause any side effects. Fresh fruits contain enzymes and antioxidants which help reduce fine lines and dark spots. Fruits containing vitamin C are particularly beneficial because they make the skin more radiant. You don’t always have to have fruit facials at a detox facial spa or salon. You can easily apply some fruit pulp to your face at home. So, think twice before you throw away that over-ripe fruit in your pantry. This is a luxurious facial that pampers your skin using aromatherapy oils. It not only helps relax the mind but also promotes healthy, moisturized and glowing skin. The essence of aromatherapy facials is that they only use aromatherapy oils, which produce great results. They help delay aging and also lift up the skin naturally. This facial treatment is ideal for people prone to acne as it helps decrease the appearance of blemishes and acne. An acne reduction facial involves deep cleansing of skin pores, which helps remove excess oil. This facial not only helps treat pimples and acne, but it also helps to decrease the appearance of acne scars. It involves a bit of scrubbing followed by a steaming technique, which helps remove dirt easily. Galvanic facial treatments are perfect for people with dull, dry skin. They increase the retention of moisture, which is a boost for dry skin. They’re also done to reduce inflammation and tighten pores. Galvanic facials aren’t just limited to the face but can be done almost anywhere. However, they’re not recommended for anyone suffering from a heart ailment or anyone with a pacemaker or braces. Microdermabrasion is the best facial to remove dead cells that cause the skin to look dull and jaded. It basically involves blasting micro-particles through some vacuum, which is the exfoliating agent. 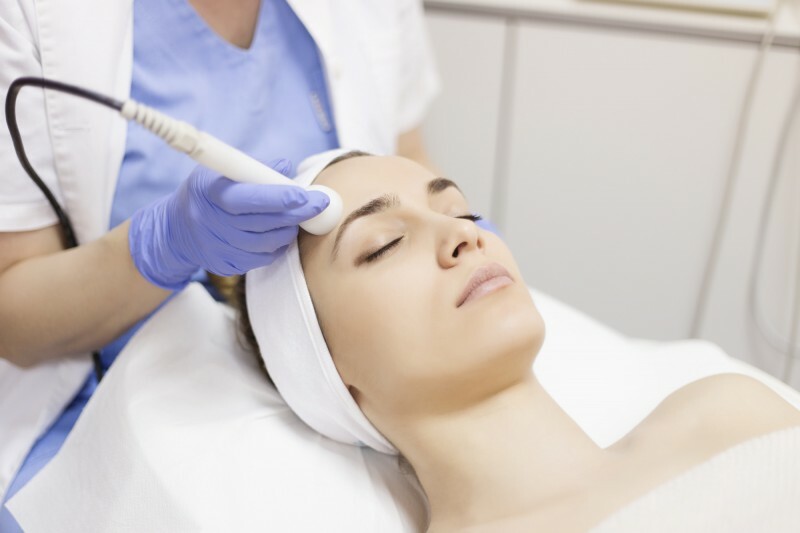 Microdermabrasion is strong enough to get rid of dead cells that are difficult to remove. While your skin may turn red at first (which is temporary, thankfully), it’s a relatively painless process. Microdermabrasion is also recommended for sensitive skin. There are countless types of facials on the market, and the best way to get healthy, younger-looking, and glowing skin is to consult a good esthetician. For more tips on beauty, be sure to visit our blog to learn more about how to look your best.